‘Eggs and soldiers’ is a perfect meal whether it’s for breakfast, lunch or dinner. 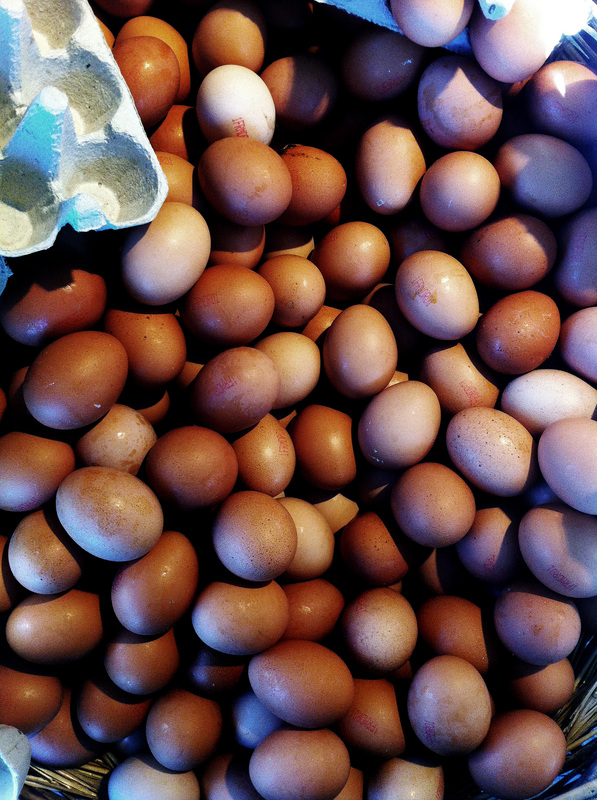 We often have it on Wednesdays because the kids don’t have school that day, and we love going to the charming Saint-Vivien de Médoc food market to buy fresh farm eggs from the fromagerie (cheese store). When you buy your eggs, you have to specify that you want to eat them soft-boiled. 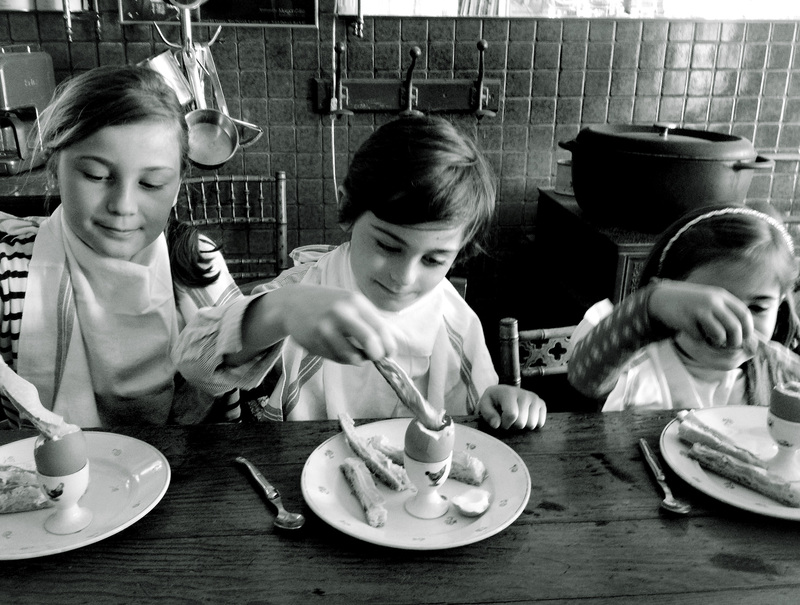 You will then be offered extra-fresh farm eggs to be eaten ‘à la coque’ (soft-boiled) within 5 days. I like to serve the eggs with ‘ham’ soldiers (buttered sliced toast with ham). A truly satisfying meal. Bring a small pan of water to the boil. Place the eggs gently in the boiling water and simmer for 4 minutes. In the same time, toast the bread, butter lightly and slice into ‘soldiers’. Cut strips of ham and place on each piece of bread. 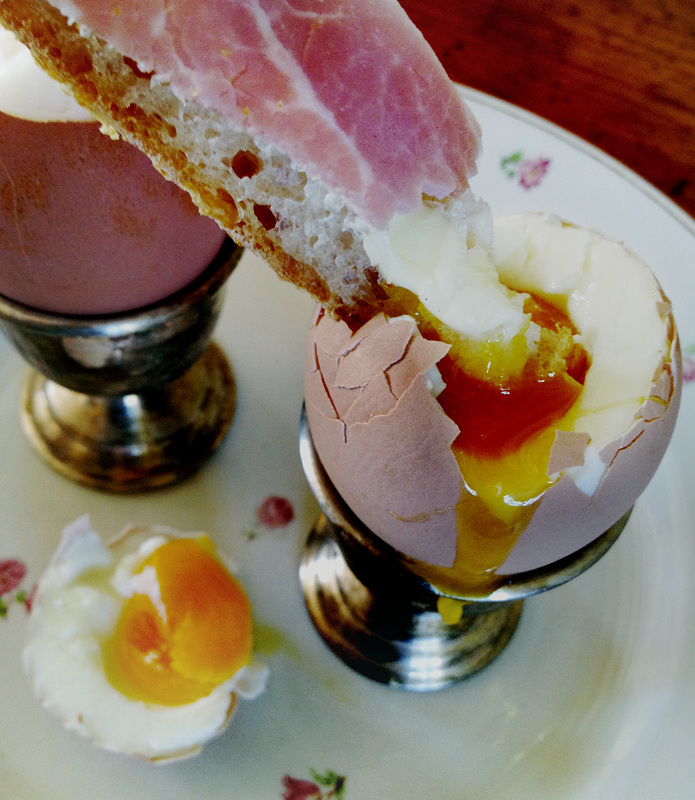 Serve egg in egg cup with the buttered ‘ham’ soldiers. Salt egg to your taste.